Sia usually prefers to hide her face under a fringed wig or hats so it was quite a surprise for many to see the superstar smiling as she walked through an airport today. The Australian singer and songwriter left the the disguises at home while making her way through Los Angeles International Airport. 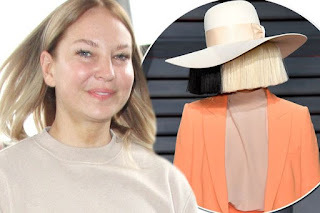 Sia, 41, flashed a smile for photographers as she strolled through the terminal, looking fresh faced and make up free. Shunning the red carpet glamour some stars choose for the airport, the popstar was dressed in comfortable clothes for her flight, teaming a loose jumper with beige jogging bottoms. Sia told James Corden at the start of the year she liked to keep her face hidden while performing in order to maintain an air of mystery and privacy. She added: "I was a singer for 10 or 11 years to mediocre success. "I was an alcoholic and a drug addict, and I sobered up and I decided I didn’t want to be an artist anymore because I was starting to get a little bit famous and it was destabilizing in some way. "I thought, ‘What doesn’t exist in pop music at the moment?’ And it was mystery!" And in a 2015 chat with Interview mag, she added: "When people say, 'Show your face, you’re not ugly.' I want to say, 'I know. I’m not doing it because I think I’m ugly; I’m trying to have some control over my image. And I’m allowed to maintain some modicum of privacy. "But also I would like not to be picked apart or for people to observe when I put on ten pounds or take off ten pounds or I have a hair extension out of place or my fake tan is botched.'"